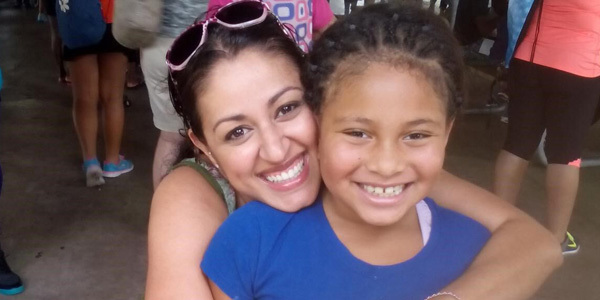 Myra knew she needed to help her Little Sister, so she reached out to their Match Support Specialist. Together, they talked about how to support Saleen and give her tools to cope with her grief. Myra decided to bring supplies to Saleen’s school and help her make a memory book about her father, so they could talk about the happy, positive memories she had of her dad. “I thought it would give her the opportunity to use her creativity to talk about her father and relieve some of that stress,” Myra syas. “That first year, we did a lot of crying together, but it all paid off.” Saleen stopped pulling her hair out. Recently, Myra’s doctors pronounced her “NED,” or “No Evidence of Disease.” She is back to seeing Saleen regularly. As Big Brothers Big Sisters of America’s National Big Sister of the Year, Myra is looking forward to her 5-year match anniversary with her Little Sister and continuing to teach her lessons that will empower and inspire her potential.